It may not sound like a lot, but the best thing you can do for your cat is to fix her or him. You may not know the best time to spay / neuter your cat. 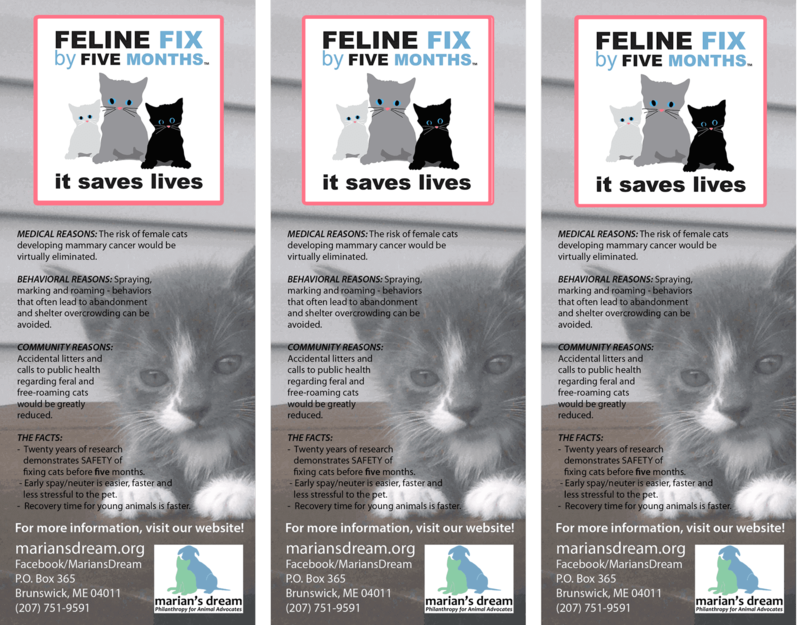 Expert veterinarians who have spent their professional lives on the front lines of this issue will share a simple fact with you: fixing before five months can be the best thing you can do for your cat. Click HERE for a listing of low-cost spay / neuter program resources. Click HERE to read what prominent vets — in both private and academic practices — say about fixing cats before five months. We’ve been co-existing with cats for more than 10,000 years. Even after all this time, cats can still surprise us — and not always pleasantly. One of the biggest reasons for cat relinquishment is behavioral problems. Problems cited range from “not friendly” to litter-box issues. Living with another being (four-legged or two-legged) requires both committment and a willingness to understand the other’s viewpoint. How do you regard your cat? As a family member? A companion animal? Property? The AVMA’s most recent survey (2012 U.S. Pet Ownership and Demographics Sourcebook) found that about 2.5% of people considered their cats as property; 41.5% think their cats are companion pets; and over 56% regard their cats as family members. Yes, they are family members, but have you ever try to herd cats? Some things just don’t work with cats, but a lot of things do. For a more studied approach to cats, click HERE.